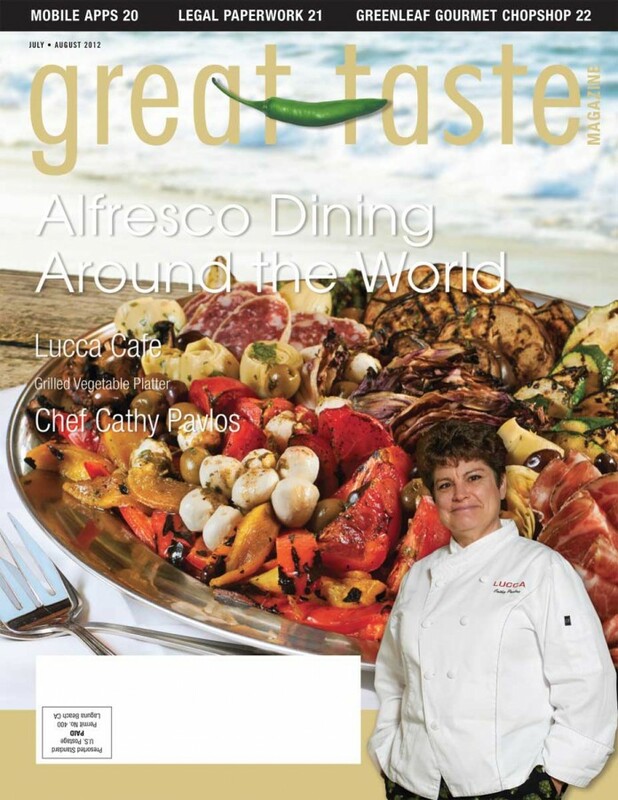 Great Taste Magazine 2012 July August Issue covers the restaurants and the professionals with resources, recipes, and beautiful photos. 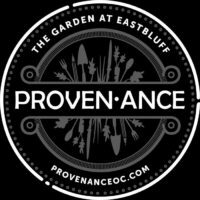 Chef Cathy Pavlos of Lucca and Provenance has many tasty tidbits. Looking for date night ideas? Encore Dinner Theater & Club in Old Town Tustin has the makings for a perfect date night. Denise McMurry and Vicky Bittner’s The Moveable Feast will guide you through the perfect date night meals. No time? Blake’s Place Cafe & Catering in Anaheim places emphasis on all things BBQ and caters to sundry picnic groups of 15 to 5000. This summer while collecting photos and artifacts for your life experience memoirs, take a moment to appreciate the spices distant countries offer. For baking adventures at home try a delicious Spiced Pineapple Polenta Upside Down Cake. For the toasty months of July and August, Great-Taste displays the classic Boysenberries as the Produce Pick of the Month. Di Stefano Mozzarella is featured this issue for its soft Italian texture and creamy taste. 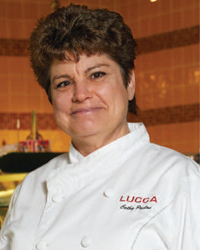 If seeking an arrangement of Italian cheeses and or meats, visit Lucca Cafe in Irvine. Passionate chef/owner Cathy Pavlos challenges her staff to create the next dish better than the last and better than the valiant efforts of surrounding kitchen peers. Over the last few decades receiving information has changed from word of mouth/print to being readily available on the internet. Now that cell phone technology has culminated, the App Revolution rushes full steam ahead. Mobile Apps offer real time menus and special offers, encouraging business to thrive. Another way to keep business affluent is to incorporate a Limited Liability Corporation to protect a company’s assets and to buy insurance such as property and worker’s compensation. our circulation has increased and we’d like to thank each and every one of our readers for helping make Great Taste Magazine the go-to source for Orange County restaurant information.